“Brown-eyed soul” music draws on 1950s era jazz, blues, jump blues, rock `n’ roll, Latin jazz, and traditional Mexican music such as ranchera, norteño, and conjunto music. With its rare and gorgeous photos, record scans, concert bills, and impressive discography (to say nothing of its rich oral histories/interviews), it is one of those rare works that speaks to both general and academic audiences. 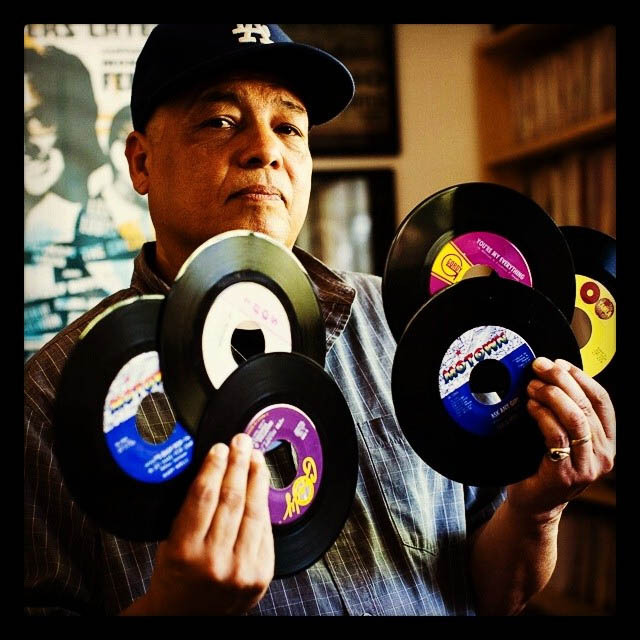 As a teen in the 1960s, Ruben Molina used to take a bus to Hollywood to shop for records, and his passion for vinyl never waned. As a dedicated community historian, Molina interviewed dozens of the artists whose music he loves. 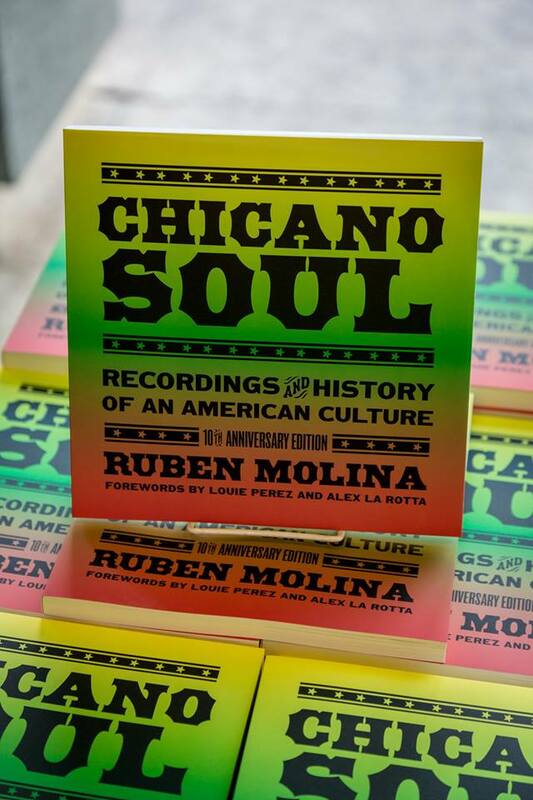 Much of Chicano soul music’s recent recognition and renaissance can be traced directly to Molina. He has deejayed with the Southern Soul Spinners crew since 2010. Ok – I’ll admit here and now – Goth and Indie music saved my life after experiencing numerous deaths, especially of my parents. One of the bands that I came to love during that time of dealing with loss was a band called Los Lobos. My favorite song of theirs was “Kiko and the Lavender Moon.” Until reading Chicano Soul for this review I never would’ve considered their style of music to be Chicano, because they have such an eclectic sound, but now I can see how this musical style influenced Los Lobos. 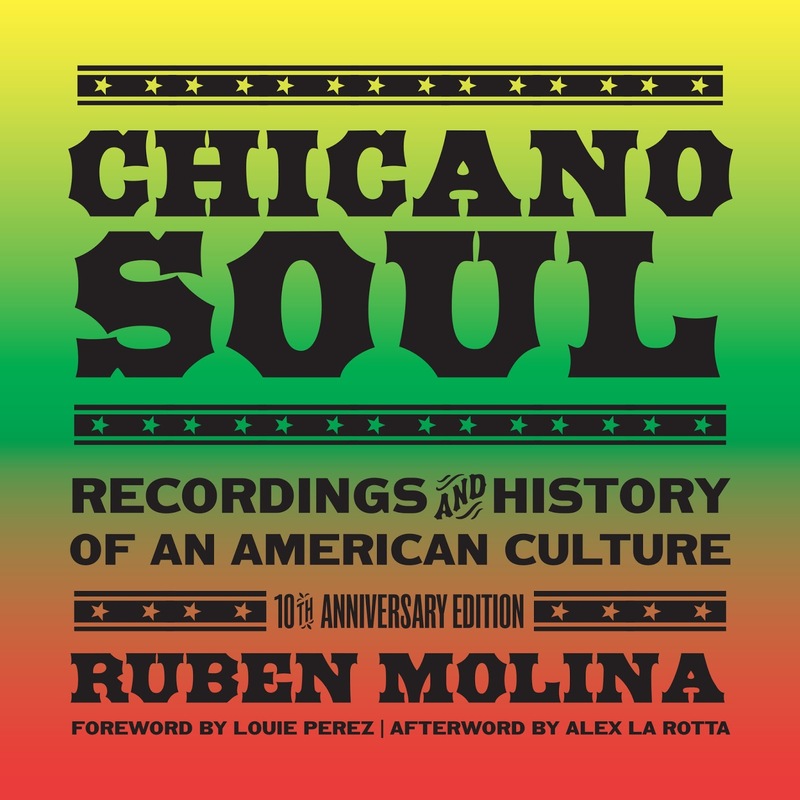 Chicano Soul is a little book packed with valuable musical history on the evolution of how this kind of music that drew from all music varieties of country, rock, folk, blues, and Spanish music. It includes the small history of how Ritchie Valens became the first Chicano rock ‘n’ roll singer to cross over into the pop charts. 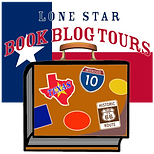 It details how this sound of music evolved in Los Angeles, San Antonio and other parts of Texas. Sadly, it points out how many of these musicians sacrificed their own educations for their musical dreams. The author brought to light several bands I’ve never heard of before like Sunny and the Sunliners, Cannibal and the Headhunters, to Tierra. I found myself looking up a lot of the bands on YouTube referenced in this book just to listen to clips of how they sounded back in the day. Here is a link to Sunny and the Sunliners song “Talk to Me”: https://www.youtube.com/watch?v=qLL41LEqpJ4. Here is a link to Cannibal and the Headhunters song “Land of 1000 Dances”: https://www.youtube.com/watch?v=-sr9Dju60vI. Here is Tierra singing “The Old Songs Medley”: https://www.youtube.com/watch?v=jateN03MF5o. This book will make a valuable addition to any music lover’s collection, especially the Discography of Recordings that influenced this music.